Liza Béar is a New York-based writer, filmmaker and photographer. Most recently, her short films have been shown in "Big As Life", The Museum of Modern Art; Torpedo/Kunsthalle, Oslo; "Argument of the Eye", Union Docs, Brooklyn; "Subliminal Projects", Echo Park Film Center, Los Angeles; Macka Art Gallery, Istanbul; and "Subconscious Society", ICA, London. Her film The Sheepdog and the Mayor was shown in Ingrid Dinter's "Bohemian Nights 1" and Barricade in "Bohemian Nights 2 & 3 ". A selection of her Occupy films, "Corporations Can't Cry", was screened last July at the Cinema Arts Center, Huntington, Long Island. She is a contributing editor in film at Bomb Magazine. 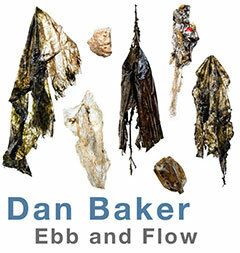 "Daniel Baker: Ebb & Flow"
"Trash Tara: It Starts With An Inhale"
Oct. 12 - Nov. 27, Climate Art: New Ways of Seeing Data, a data visualisation show on climate change with the Robert Rauschenberg Foundation & Ballroom Marfa. 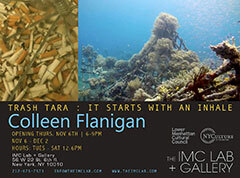 Marfa Dialogues/New York is an examination of climate change science, environmental activism & artistic practice taking place Oct. & Nov. 2013 in NYC. MD/NY will feature more than 20 Program Partners, including The IMC Lab + Gallery, NRDC & its president Frances Beinecke, artists such as Maya Lin, Ben Fry & Aaron Koblin, as well as a spectrum of exhibitions, performances & interdisciplinary discussions at the intersection of arts & climate change. 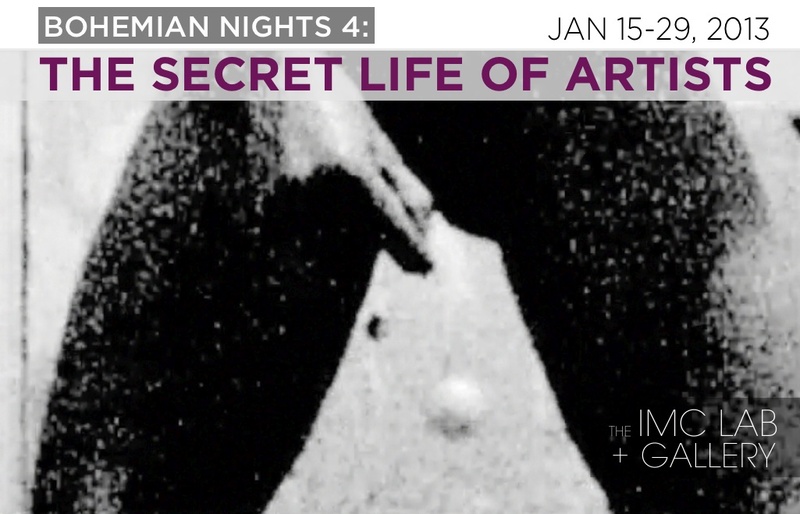 "Bohemian Nights 4: The Secret Life of Artists"
"Light Years: The Art of Rudie Berkhout"